Limited Edition Translucent Green with Black Splatter Vinyl! 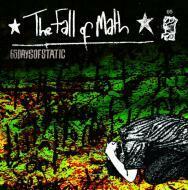 Sheffield UK’s 65daysofstatic scored an unlikely hit in 2004 with their debut album, The Fall Of Math. A critical success, it launched the band into a new league of recognition; here, they would hone their sound, transforming from studio operatives crafting rave music for rockers into a rock band impossible not to rave to.